Mongolia has a population of three million people and a land the size of Alaska, where majority of the population is concentrated in few settlements, including the capital city of Ulaanbaatar, home to more than half of the total citizens. 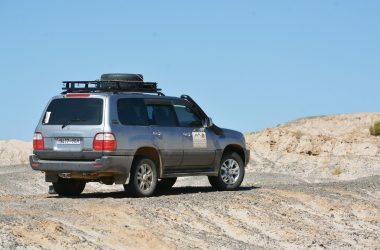 With less than few thousand km of pavement Mongolia is an ideal place for those who enjoy wide open spaces, unspoiled landscapes and challeging tracks! Using Yamaha dirt bikes, WR250F and WR450F bikes you will be able to explore Central Mongolia. Visit the ancient capital Kharakhorum, ride through famous Orkhon river basin, bath in one of Mongolia’s hot springs and ride through ancient lava fields. One of the highlights of this trip is meeting the local herders who are still living the way their ancestors lived for several millennia. Munkh-Orgil Erdenesukh (Orgil) has been riding cross bikes around Mongolia since 1992 alongside his father, who is a well known bike rider. In the early years of 2000, he wrested in the professional division of Japanese sumo competition before returning back to follow his real passion – traveling. He was instrumental in the Blue Waves campaign of 2014, initiated by the Mongol Ecology Center, where money was raised to buy some 15 Yamaha AG200 bikes to help equip National Park rangers in northern Mongolia. He led the caravan of international team of donors who have paid for these motorbikes to navigate through Mongolian countryside and deliver the bikes to the rangers in one piece. Later he initiated a campaign to supply spare parts for these bikes. 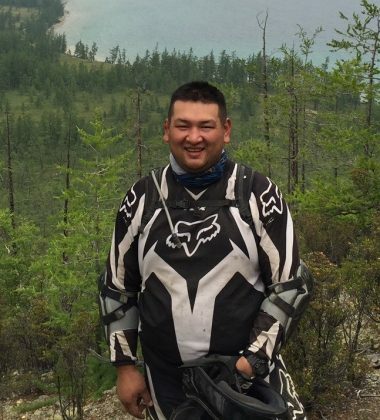 He has worked as an executive director of the Yamaha dealership in Mongolia. 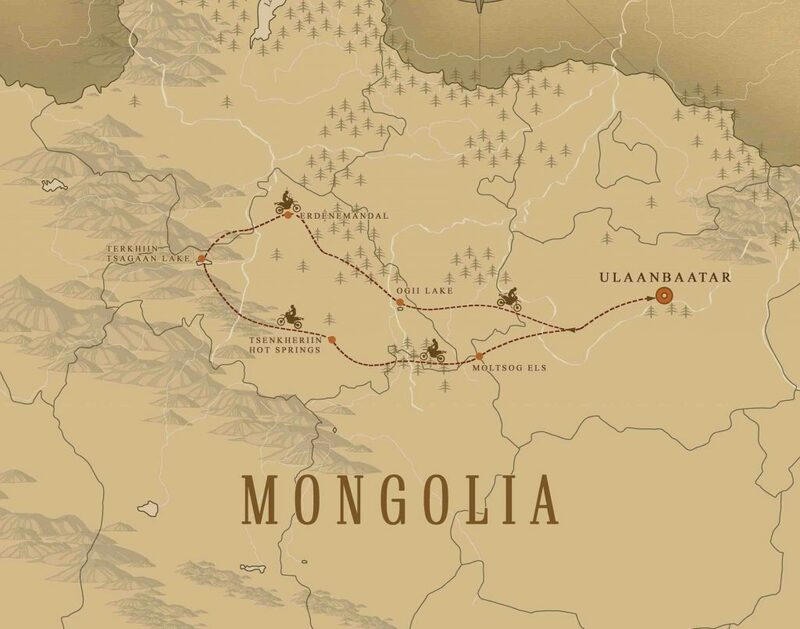 We will mount our bikes and begin our journey west to the Mongol els sand dunes. We will travel to Tsenkher hot springs and enjoy a hot bath in the evening. We will bike along green hills and meadows of Central Mongolia and rach the magnificent Terkhiin Tsagaan Lake. Enjoy biking to the Ugii Lake and explore the surrounding area. We will travel back to Ulaanbaatar and depart for our next destination. Meet Mongolian nomads and explore their living style. During the rest of the expedition in Mongolia, we will be staying at tourist class, cozy ger camps with western bathroom and restaurant facilities. Most visitors find staying in gers as one of the highlights of their trip to Mongolia.